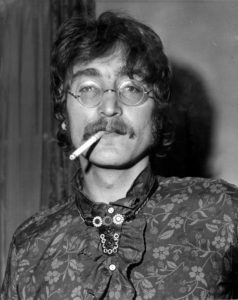 While everyone is all wrapped up in 2Pac conspiracies, there is a theory out there that John Lennon’s spirit is alive and well to this day. Instead of kicking it in Cuba, he decided to inhabit the body of Kevin Parker, the Aussie born musician most notably known as the front man of psychedelic rock band Tame Impala. From the long wavy hair, mesmerizing vocals, and psychedelic sound, Parker draws uncanny parallels between him and Lennon that can’t help but turn some heads. Through Lennon, psychedelic music was most prevalent in the late 60’s counterculture hippie era, taking form in perennial projects such as Sgt. Pepper’s Lonely Hearts Club and Pink Floyd’s Dark Side Of The Moon. The long-forgotten genre, however, has made its way back on the musical shore as of recent years, with Parker being the main catalyst luring it forward into the mainstream. Through his pedal guitar, warping synthesizers, and mesmerizing vocals, he has blended psychedelia with rock and pop in pure elegance. 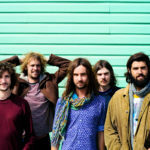 Parker is most notably known as front man of Tame Impala. Started solely as a home recording project, Parker and company have released three studio albums and have been touring around the world. 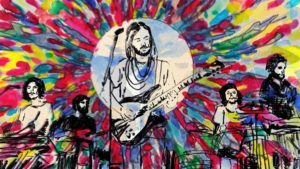 Awarded album of the year (Currents) and song of the year (Let It Happen) at the ARIA awards, Tame Impala has gravitated into the musical spotlight of the world. Despite being a five member band on tour, the soul of the music flows from Parker himself. 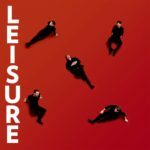 Responsible for writing, recording, and mixing their 3 studio masterpieces, Parker has approached music from a solitary state of mind from the beginning, finding the most creative solace when working solo. “To be able to access that part of myself, I have to be totally in my own zone and in my own head.” he reflected in a diymag interview. It is through these getaways that Parker has been able to connect with his creativite solace and let the musical gods take care of the rest. Pouring his style into groovy rhythms and funkadelic melodies, he has refined his sound to such a high degree that the collective ears of the world cant help but ooze with gratitude anytime his music starts pouring out. He has always sonically expressed psychedelia through guitar, incorporating a petal to warp and drag his riffs. It hasn’t been until his most recent studio album Currents where he has begun to bring ambient, trippy synthesizers into the mix to express his sound to an even fuller extent. 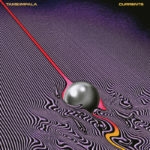 Through the progression of his three debut studio albums, Parker has slowly gravitated towards the mainstream but maintained that classic Tame Impala groove and psychedelic tone. “In my opinion Tame Impala’s always been super-groovy” Parker reflected on his music with an interview with independent magazine. Creating a disco vibe rhythm alongside an ambient soundscape, his music is a window of escape, whether that’s on the dancefloor or the confines your mind. Within a few years, Parker has transitioned from pure solo work to becoming a musical empire. Now headlining music festivals, remixing hit song’s such as Miguel’s “Waves”, and working alongside producer Mark Runson, he has learned to shed his introspective skin and move into the collective world of music. Lending vocals, lyrics, and instrumentation, his defiant sound bleeds out in collaboration as well. Through Runson, Parker has found himself working alongside female pop superstars. Lady Gaga has credited him as a musical genius for his input with lyrics, production, guitar, and drums on her most recent album Joanne. 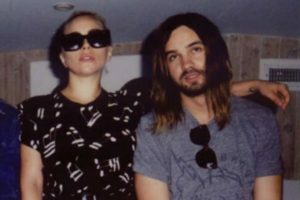 Reflecting on helping her lyrically on her hit song “Perfect Illusion”, Parker couldn’t help but be thrown off by the extroverted transition he had gone through since his beginning days as a musician. 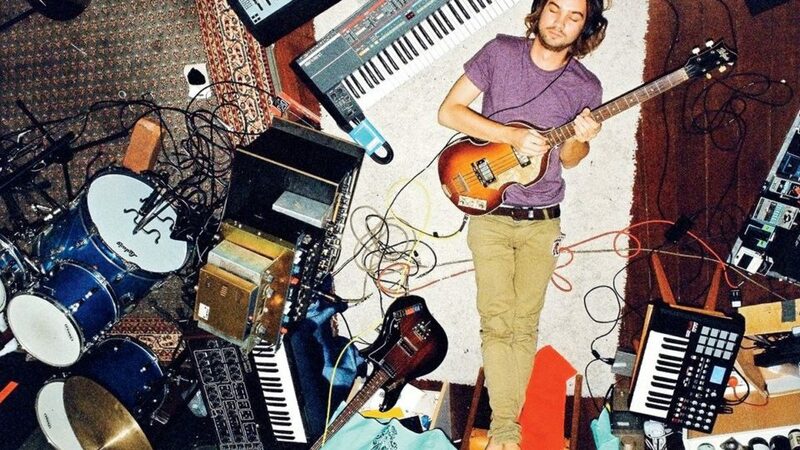 Kevin Parker is a sonic echosystem, recycling and feeding musical nutrients to artists across musical genres and ideas. “New Person, Same Mistakes”, the concluding song on Currents was featured on Donald Glover’s FX show Atlanta and covered by Rihanna on her most recent studio album Anti. On top of it all, news is spreading via Pitchfork that he is working on an album with SZA. This dude is undeniably talented, gradually bringing that new wave psychedelia to the musical shore and slowly infusing it into the mainstream. With his wavy long hair, hypnotic vocals, and psychedelic art, he has created the perfect experience for John Lennon’s soul to inhabit. Cat’s out of the bag, Lennon.